Part of being committed to eliminating racism is continuing to grow in our understanding of the horrible effects of racism on people of color today. While there is no comparison with the effects on people of color, white people are also dehumanized and burdened by racism. It is valuable to also grow in our understanding of this part of the system of racism that affects us all. A signature campaign of YWCA USA to build community among those who work for racial justice and to raise awareness about the negative impact of institutional and structural racism in our communities. Take a photo (selfies or groupies) with a #standagainstracism sign. Post these photos to our Facebook page or email to brandonstrong@ywcaglbr.org. These photos will be displayed during the campaign and you/your organization will get a shout out from us for your efforts! Change your Facebook profile picture to the Stand Against Racism logo. You can find the logo on our Facebook page. Read over and sign the Stand Against Racism Pledge online or stop by our Bay City office to sign in person! Stand Against Racism is a signature campaign of YWCA Great Lakes Bay Region to build community among those who work for racial justice and to raise awareness about the negative impact of institutional and structural racism in our communities. This campaign is one part of our larger national strategy to fulfill our mission of eliminating racism. Voting rights and civic engagement are, and have always been, core components of racial justice work. As civil rights are eroded for communities of color, we must work to support full access and engagement for women and girls of color in the political process. 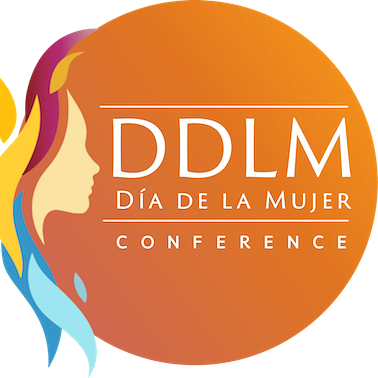 The Dia de la Mujer (DDLM) Conference began in 1994 to motivate and inspire Latinas by providing then with resources they can use to improve their lives. The conference goals are to educate, motivate, inspire, empower, and create a learning opportunity for all.